Salvation Army delegates spoke at the European Parliament about anti-human trafficking and challenged politicians to take action. To mark the European Day Against Trafficking in Human Beings on 18 October, The Salvation Army attended the European Parliament to present examples of its anti-human trafficking work and seek to persuade politicians to take action to help the 40 million people who are victims of modern slavery worldwide. Jean Lambert, a Member of the European Parliament from the United Kingdom, hosted the event, with words of welcome from Commissioner Johnny Kleman, The Salvation Army’s International Secretary for Europe. Delegates spoke about their experiences with trafficking victims. The day included the launch of a comprehensive new report, Restoring Broken Dreams, compiled by The Salvation Army’s EU Affairs Office. This report contains examples of Salvation Army anti-trafficking work from across Europe and demonstrates how social organisations can collaborate to prevent trafficking, and to protect and reintegrate its victims. 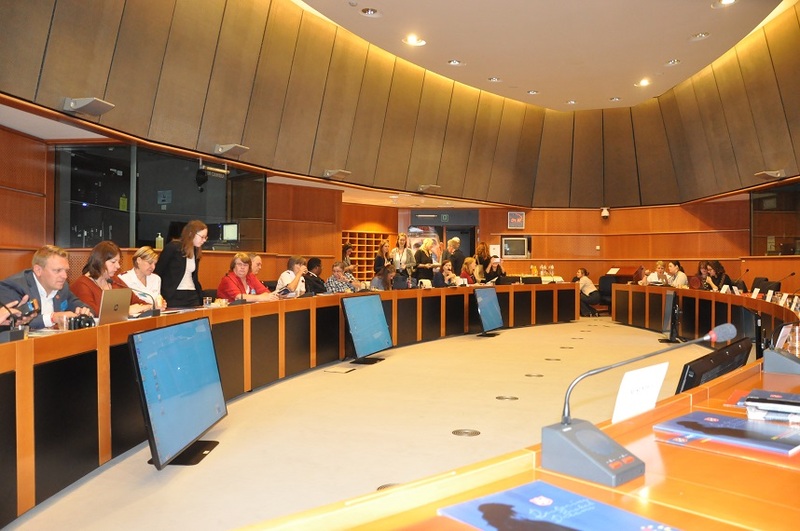 Members of the European Parliament and experts from The Salvation Army and civil society discussed the greatest challenges and considered possible European and national efforts and actions. 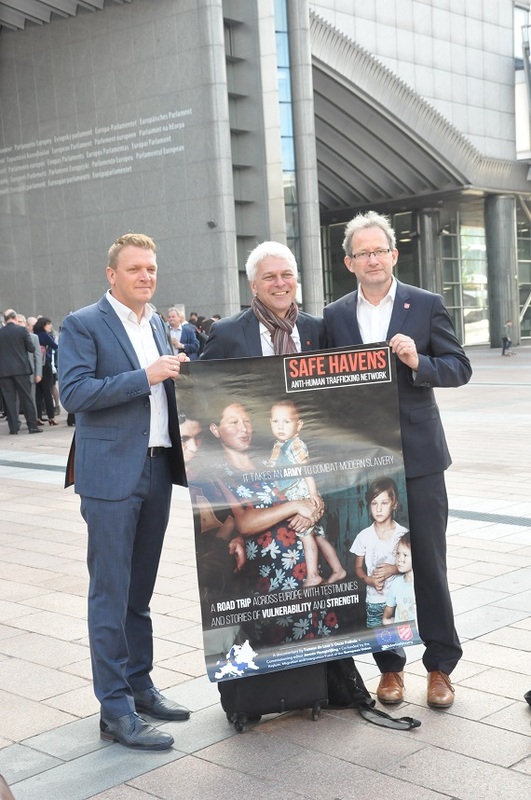 At the presentation in the European Parliament, Salvation Army personnel shared experiences from the European Union-funded multinational project Safe Havens, speaking about their daily work with victims of trafficking. The project is led by The Netherlands and also includes also Salvation Army programs in Sweden, Moldova, Ukraine and Romania. The Salvation Army has a long tradition of meeting human needs and preventing trafficking in all forms, providing support and protection to the exposed and reintegrating them into society. In Europe, it works across the entire human trafficking chain, from preventing recruitment in countries of origin to working with rescued victims in destination countries. “Over the past three years we have gathered and strengthened the Salvation Army’s capacity to prevent and counteract human trafficking through the EU project Safe Havens,” said Madeleine Sundell, a human rights lawyer and National Coordinator for Anti-Human Trafficking in The Salvation Army’s Sweden and Latvia Territory. Delegates at the European Parliament. The Salvation Army’s presentations in Brussels also showcased a unique three-year pan-European campaign against human trafficking. The campaign will start to run across Europe in early 2019, under the heading “Cheap Prices Come at a High Cost”. It will seek to increase awareness and reduce both supply and demand for services that can be linked to human trafficking. Advertisements in traditional and social media in supply countries will warn potential victims and their relatives about the risk of falling for job offers that are too good to be true. In wealthier countries at the other end of the chain, the public will be alerted to consider why a service may be unreasonably cheap, exposing the true costs for modern-day slaves.